Educating children and those in need, fostering the world's creative potential, and even doing God's work may feed the soul, but they don't pay. 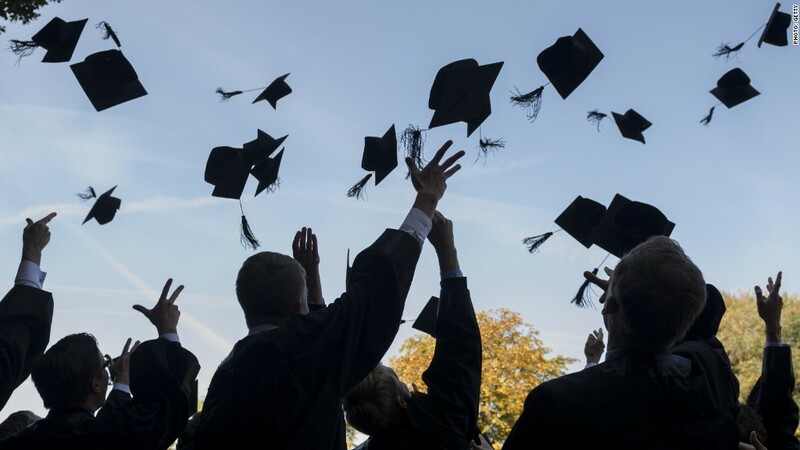 Early childhood education ranked as the lowest-paying college major one could choose, according to a new report from The Georgetown University Center on Education and the Workforce. Using Census data, the report found that those who studied how to teach the nation's youngest, most impressionable minds make a median salary of $39,000. That's compared to the list's highest-paying major -- petroleum engineering -- for which grads rake in $136,000 per year. Also on the list of lowest-paid are human services and community organization, studio arts, social work and teacher education. While students may want to follow their hearts, do what they're passionate about, and make a difference in the world, their bank accounts may suffer. The report, which looked at annual wages for 137 college majors, found that over the course of a career, the salary difference between the lowest- and highest-paying majors amounted to $3.4 million dollars. 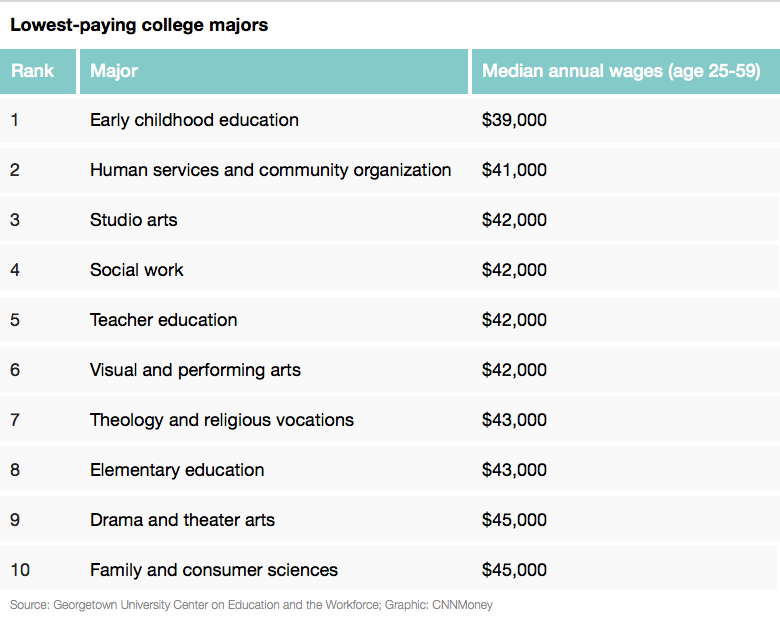 The 10 lowest-paying majors are listed below.